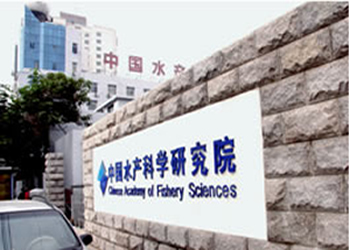 Chinese Academy of Fishery Sciences (CAFS) is the governmental scientific institution of Chinese Ministry of Agriculture (MOA) dedicated to promoting excellence in fisheries sciences. 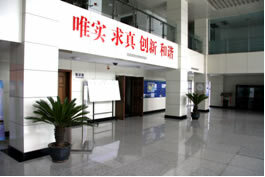 The headquarter of the academy is located in Beijing, which is composed of Research Center of Fisheries Information & Economy, Research Center of Fisheries Resource & Environment and Research Center of Fishery Product Quality & Standard, excepting for administrations. In total, the academy has 9 fisheries research institutes and 4 fisheries resources enhancement stations. In terms of sea areas, it has 3 institutes who are Yellow Sea Fisheries Research Institute located in Qingdao Shandong province, East China Sea Fisheries Research Institute in Shanghai, and South China Sea Fisheries Research Institute in Guangzhou Guangdong province. Moreover, being specific for marine resource enhancement, four of its stations are located in Qinhuangdao Hebei province, Changdao Shandong province, Yinkou Liaoning province, and Changyi Shandong province respectively. In terms of water valleys, it has Helongjiang Fisheries Research Institute located in Harbin Helongjiang province,Yangtze River Fisheries Research Institute in Jingzhou Hubei province, Pearl River Fisheries Research Institute in Guangzhou Guangdong province, and Freshwater Fisheries Research Center in Wuxi Jiangsu province. In terms of engineering, it hasFishery Machinery and Instrument Research Institute and Fishery Engineering Research Institute, located in Shanghai city and Beijing city respectively.